Blackcurrants are in season and our bush has been going bananas! 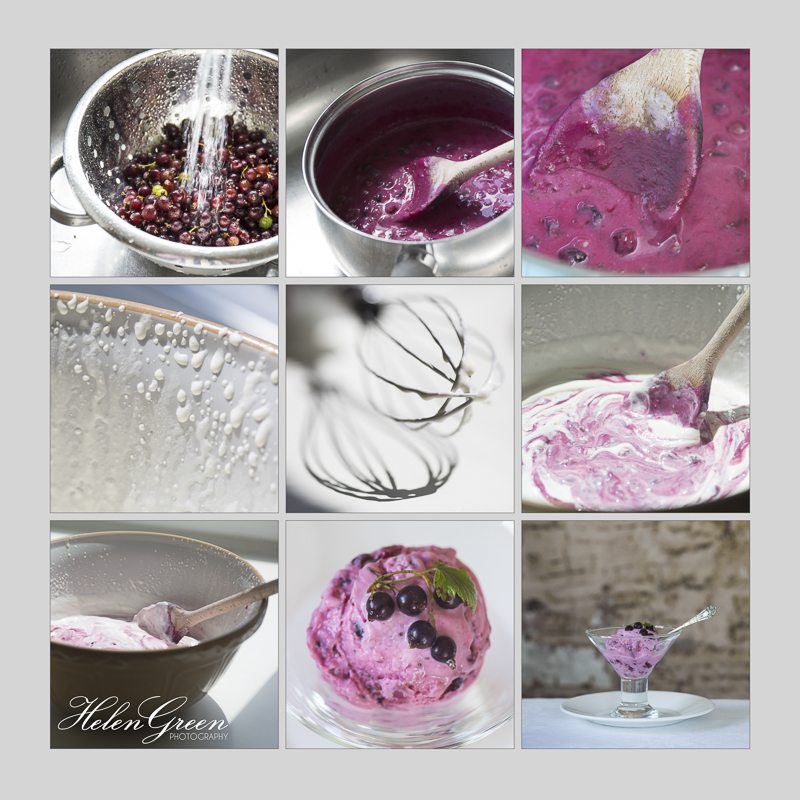 I have already made some yummy blackcurrant jam, so when my second harvest of blackcurrants coincided with the hottest weather for decades I just had to make some blackcurrant ice-cream. This is really easy to make even without an ice-cream maker and it didn’t last long. We’ve now run out of blackcurrants, however the gooseberries are ripening so I might try this method for making gooseberry ice-cream. I’ll let you know if I do. To be honest the quantities are a bit approximate as I didn’t weigh the ingredients when I put them in, but I think it wouldn’t matter too much if you had a bit more or less of anything, just taste as you go along (don’t taste too much or there won’t be anything left). The quantity of blackcurrants is a small colander full. Heat the blackcurrants gently in a saucepan with a tablespoon or two of water. When they have broken down and gone a bit mushy, add the condensed milk, mix in and turn off the heat. Leave to cool. Whip the double cream until just before the stiff peak stage. Mix into the cooled blackcurrant mixture along with the yoghurt. Spoon into a freezer container and freeze. Or put into the ice-cream maker if you have one. It’s a good idea to take it out of the freezer and put in the fridge for half-an-hour to an hour before you want to eat it, so that it softens and scoops out easily. Yes, it tasted delicious. The next time blackcurrants are in season I will definitely make this again.